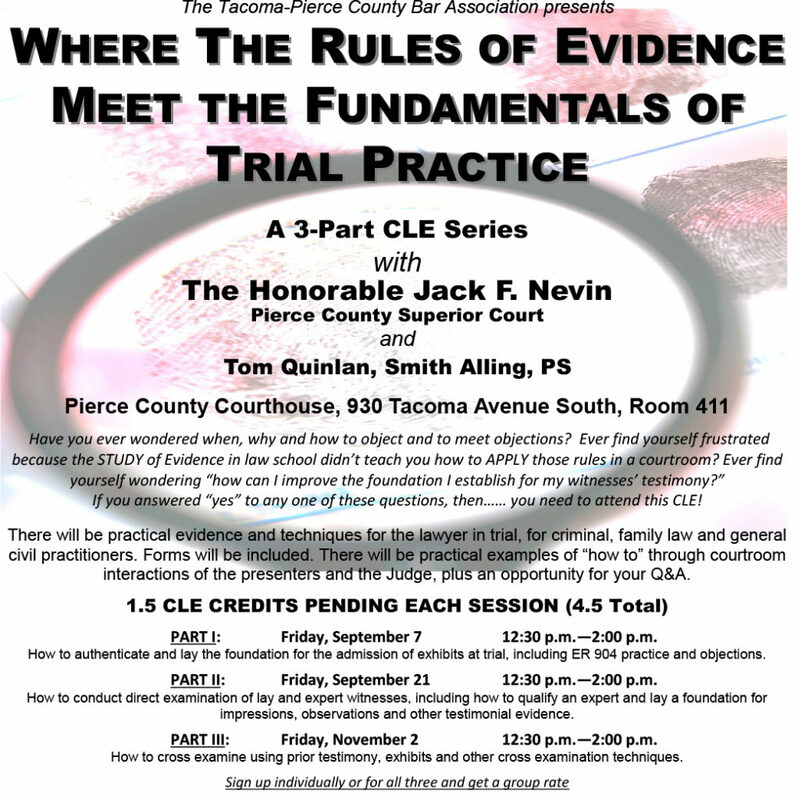 Where the Rules of Evidence Meet the Fundamentals of Trial Practice. A 3-Part CLE Series. 9/7 (Completed), 9/21 (Completed), & 11/2.